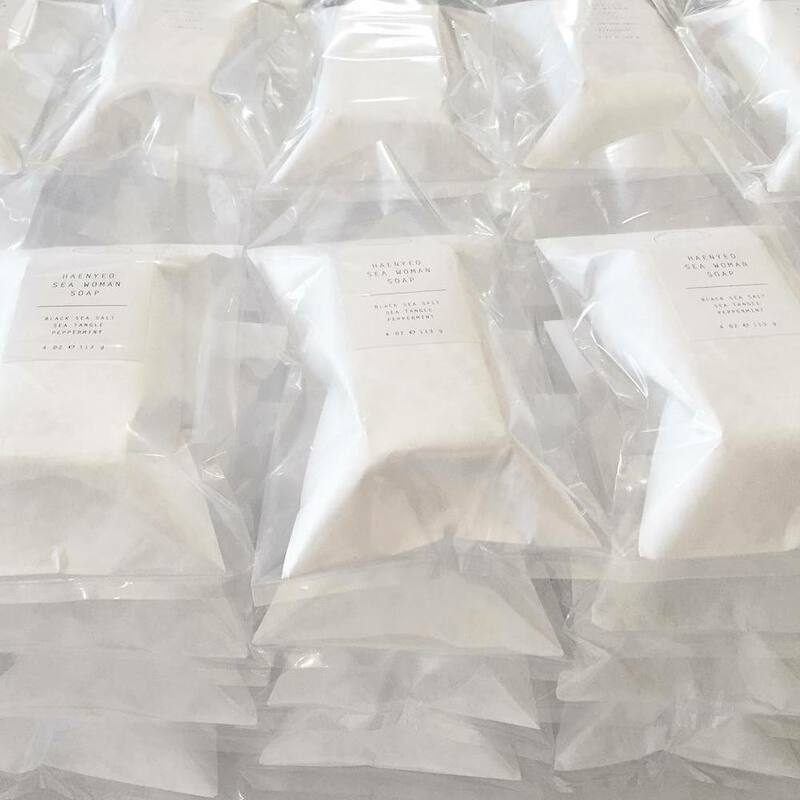 Karen Kim began Binu Binu, in New York’s Lower East Side, to ease her need for a simple, all-natural bar of soap that felt great to hold and was truly aesthetically pleasing. Inspired by the Korean public bath house, free of vanity and centered around simply cleansing, Binu Binu soaps are meant to become part of your renewing ritual – similar to the skin shedding scrub treatment that so many swear by -- a miniature, daily rebirth. 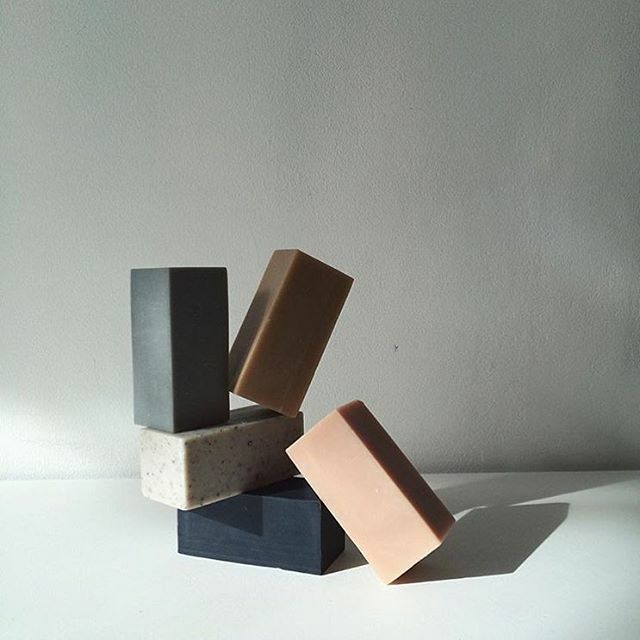 Each minimal, yet sculptural, bar is formulated using a cold process method that retains the skin benefitting properties of the natural oils used. They’re also fragrance free – with the exception of one very subtly peppermint-scented bar – and perfect for sensitive skin. Made by hand, and in very small batches, Binu Binu soaps are truly special and long lasting (when cared for in a draining soap dish). How did you decide to start making soap? There's something compellingly simple about a bar of soap that makes it a beautiful thing: its form (no container, no pump, just a simple bar), its use (you hold in your hand, lather, rinse), and its creation (natural plant oils mixed with alkali through traditional cold process). I wasn’t able to find something that I felt looked modern and wanted to use all of the time, so I decided to create it. Tell us a little bit about the main ingredient or base of all your soaps. When working on the formulations, I started out with the idea of the Korean public bath, and all inspiration stemmed from there – the idea of daily ritual, ceremony, things that we do to sustain and renew ourselves. There is a tea that is part of every Korean household, called Boricha, made by brewing barley that's served all year round, and so ubiquitous that it’s even referred to as “water”. It’s full of antioxidants and has wonderful detoxification properties. We use that as the basis of all our soaps, and make a Boricha Soap that highlights this ingredient. How do you manage to get such clear, beautiful and almost pastel-like colors? It happened incidentally, with the ingredients creating the colors – we use only botanicals (clays, plant extracts, essential oils), which tint the soap with their natural properties. The intense amber color of Boricha tea mixed with mountain clay gives the Boricha Soap a rich caramel effect. 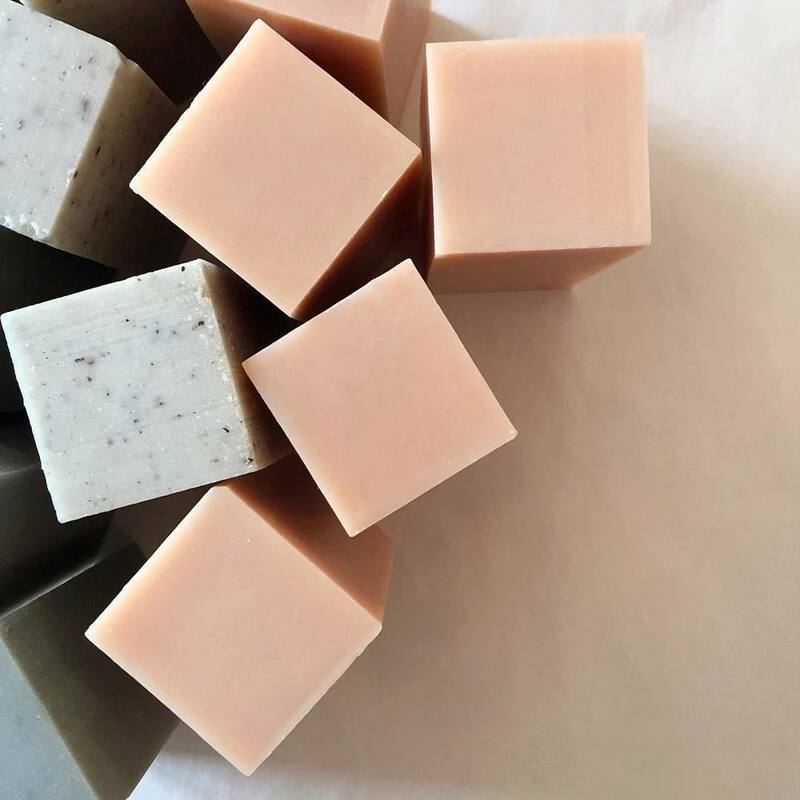 French Pink Clay and Hibiscus (Korea’s national flower with gentle exfoliating properties) lends our Hibiscus Clay Facial Soap a pretty petal pink hue, and in our Haenyeo Sea Woman Soap, Black Hiwa Kai sea salt creates a cool grey color that makes the bars look like little pillars of stone. The natural oils also impart a slight translucency that amplifies the color. Which soap is your personal favorite and why? I have so many soaps on the go and use them depending on my mood. With the winter right now, the Hibiscus Clay Facial Soap is in heavy rotation since it’s extra mild and has a lot of Shea Butter, an amazing moisturizer. For the bath, my favorite is the Haenyeo Sea Woman Soap because of the peppermint scent – it’s nice to breathe it in with the steam. What is the best compliment you’ve received from someone who has used your soap? We love your brand identity from the name right down to the print and packaging. How did you approach the overall presentation? The word “Binu” means soap in Korean; I wanted to name the brand something interesting that reflected the product in the simplest terms. As for the ingredients, many of our soaps are based on strong female models in Korean culture - for example our Shaman Black Charcoal Soap is named after “Mudang,” who are modern-day woman shamans that advise on healing the body and mind. It contains activated black charcoal to detoxify the skin, and a blend of essential oils used in purification ceremonies. The ingredients are inspired by a theme, as well as selected for their skincare properties. It’s important that the products are both sensory and visual. So, in addition to being lovely to use, I wanted to simplify the bar form into something minimal but beautiful that would add interest to wherever it was placed, and be pleasing to hold. Something sculptural, monolithic. Someone called the form reminiscent of Brutalist architecture the other day, which I thought was funny but fitting in a way. The packaging is based on the idea of an envelope. A discreet little package with something nice inside. Do you have any plans on expanding the brand? Are there any other ingredients, or type of products, that you’d like to explore and experiment with? Yes, we have a busy year ahead, with new formulations coming up, and new product ideas. We want the brand to encompass the kinds of things that belong in the world of modern, personal ritual – soap being just the beginning. Can you share a skin-care secret, daily ritual or go-to routine? I scrub everyday. Not just a couple of times a week like some people say is best. I can’t help it; it makes me feel instantly new. I think that whatever you do, keep it simple and enjoy it.